Measurements results related to viscosity of liquid dispersed systems were presented. Machine oils and water were used as components of two-phase systems. During the research, pressure drops of liquid-liquid system flow through a determined pipe section with known diameter were measured. Basing on obtained results flow curves were plotted and two-phase flowing substance viscosity was determined. The analysis of research values gave a base to assess the influence of flow conditions on dispersed liquid-liquid system viscosity. 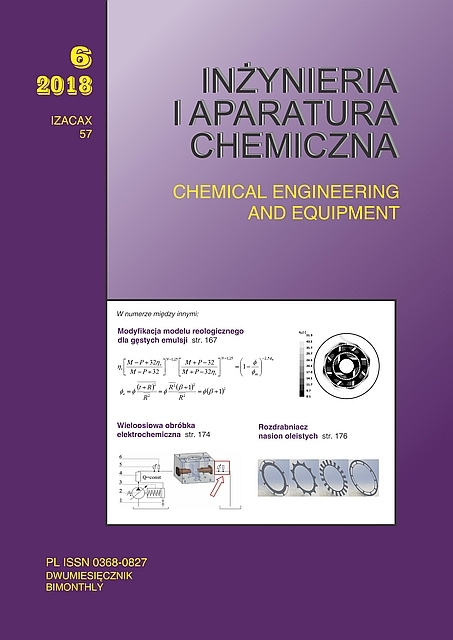 In this paper reference was made to correct the methodology of liquid dispersed systems viscosity measurement issues. Keywords: viscosity, liquid-liquid dispersed system, pipe flow curve, pipe rheometer. A method for modeling rheology of dense polydispersed emulsions is presented and applied in combination with CFD and population balance equation to model flow of viscous emulsion and drop dispersion in the high-shear rotor-stator mixer. Effect of process conditions during emulsion formulation on resulting emulsion rheology is presented. Effects on rheology of adsorbed polymer layer present on drop surface are investigated. It has been shown that these effects are significant at small shear rate. Effects of maximum packing volume on emulsion rheology are studied as well. The results of computer simulations of solid-liquid separation in constructional new swirl settling tanks are shown in the paper. The k-ε model and DPM models of ANSYS Fluent software 19.0 were used. The studies were carried out for the swirl settling tanks which were characterized by the submerged inlet port situated in a different immersion depth and the baffle with different location inside the tank. Experimental studies confirmed models validity. The particles trajectories obtained in simulations are presented. They confirm the presence of swirl movement and show the residence time of solid particles inside the settling tank. The construction with highest separation efficiency was characterized by the baffle located in tank’s axis and in the middle of inlet and outlet ports. Application of Cadmould software as a tool used in the design and manufacture of injection molding parts and tooling, in the analysis of mold cavity filling and assessment of parts shrinkage on the example of technical moulded piece is presented in the paper. The conditions of numerical simulation were referred to real conditions of manufacturing moulded parts. 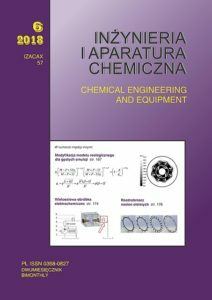 The paper presents the original research results and analyzes, regarding the developed stand and multi-dimensional surface shaping using ECM technique. Surface roughness and 3D geometric surface structure measurements were made. As a result of unsatisfactory treatment effects, changes in the flow control system and electrolyte pressure were made and described. The workpiece surface obtained after construction change was characterized. The possibility of applying the described method of surface forming using multi-axis ECM treatment was indicated. Construction and experimental research aiming at the design of industrial version of a precise shredder for oilseeds are presented in the paper. The modeling of construction and operating parameters as variables for the conducted experiments appeared to be an important issue. The use of genetic algorithms and product assessment by visual method allowed for the structure optimization and the selection of proper device settings for various types of oilseeds. The high product quality was confirmed by toxicity tests. Investigations of liquid dispersion posing the painting composition were performed. The effect of thickeners content on physical properties (viscosity expressed by outflow time, run off properties and surface tension) of prepared dispersion, and also the mechanical strength of coatings covering metal plates were determined. It was found that the increase of thickeners content improves the application properties of paints, relative hardness and scratch resistance of coatings.